Dr. Jenna Mollman was born in Memphis, TN and raised in Marietta, GA. Before becoming a veterinarian, Dr. Mollman trained and managed an equestrian riding facility in East Orlando where she developed many relationships that helped her achieve success in her quest to veterinary school. Dr. Mollman has been riding and showing hunter/jumpers since the age of 7, and owned her first horse by the age of 10. Dr. Mollman also played polo during her undergraduate years. She attended Colorado State University and graduated with a degree in Equine Science. 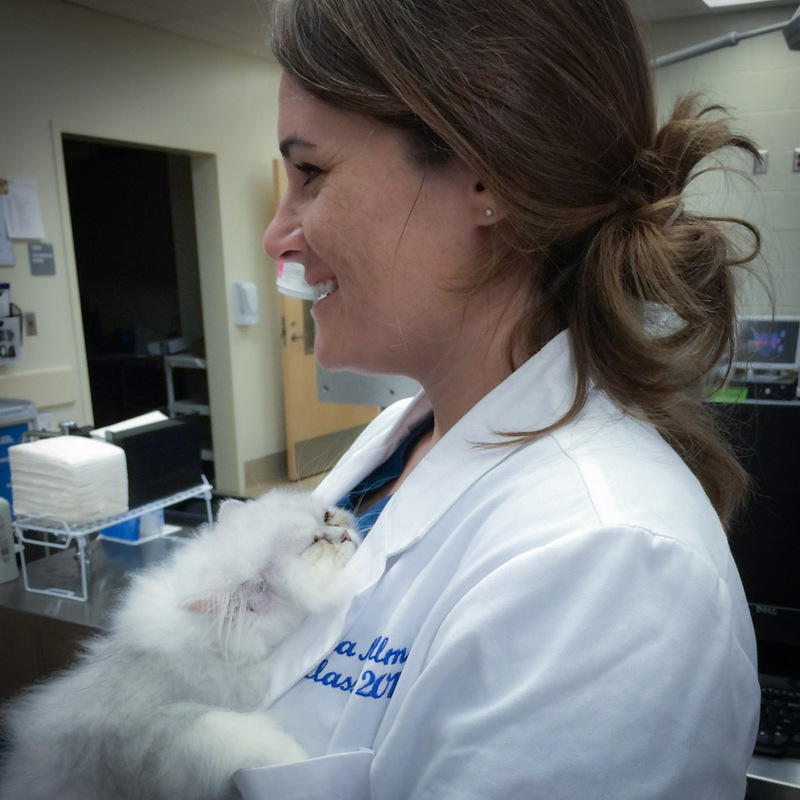 Dr. Mollman then went on to obtain her doctorate at The Ross University School of Veterinary Medicine and then spent her final clinical year at The University of Florida in Gainesville. Dr. Mollman achieved the highest honors and graduated as a Doctor of Veterinary Medicine (DVM). After graduation, Dr. Mollman did an internship with a mixed animal practice here in Orlando where she now resides with an ever expanding menagerie including 2 horses (Nala and Noah), 5 cats, all rescues of course (Enzo, Remi, Moon, Smokey and Joey), an Australian Cattle Dog (Gambit), and one wild husband with whom she tied the knot in May 2015.